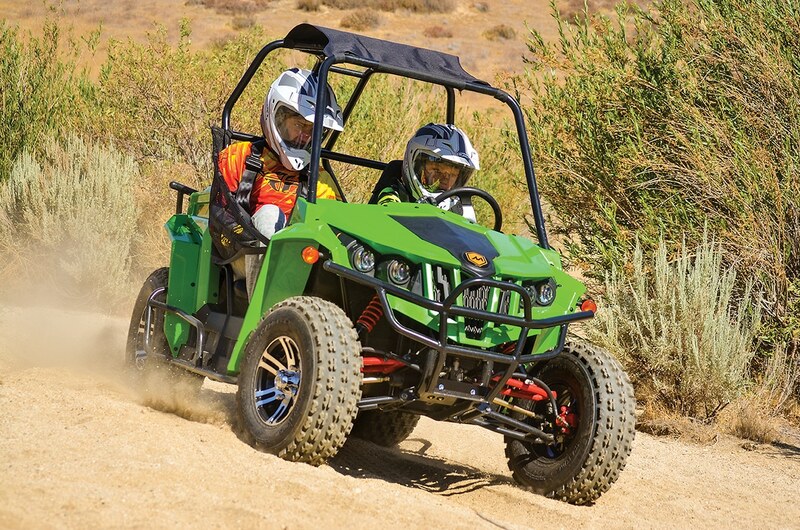 Polaris invented the youth UTV market with the first RZR 170. However, it didn’t take long for the competition to come out with their own youth UTV. The first was Pitster Pro with a decent machine called the Double X. The latest youth model to arrive is the Massimo Gunner 150S, and our pint-sized test driver had a chance to test it out. 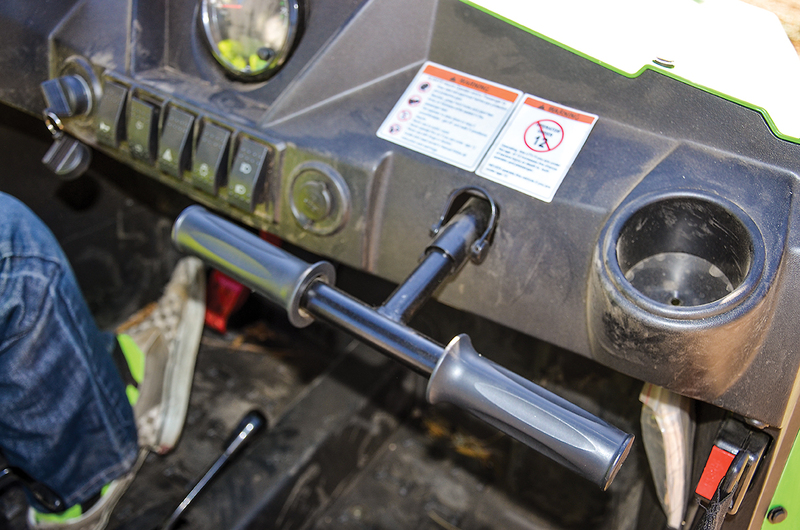 Dual A-arms help limit bumpsteer and camber changes through the wheel travel. The Massimo setup is good, but in reverse steering, it’s a little twitchy. The Gunner 150S starts at $3799. The Gunner 250 sells for $4749. 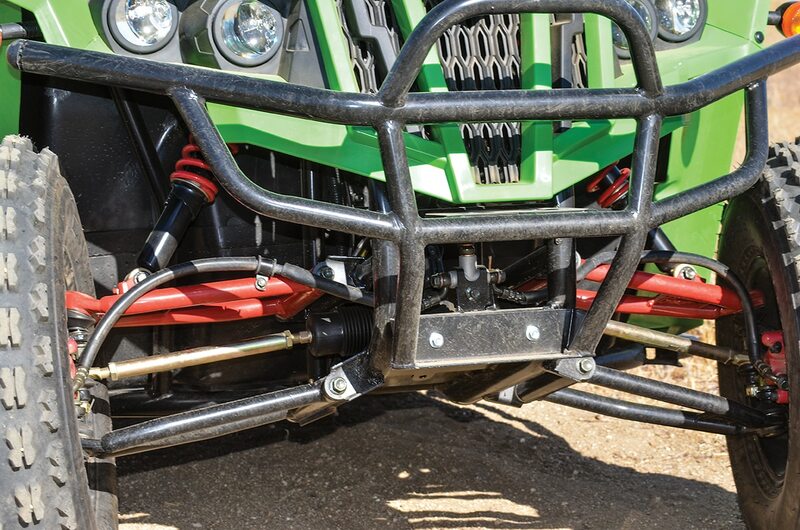 The rear swingarm setup is nearly indestructible. 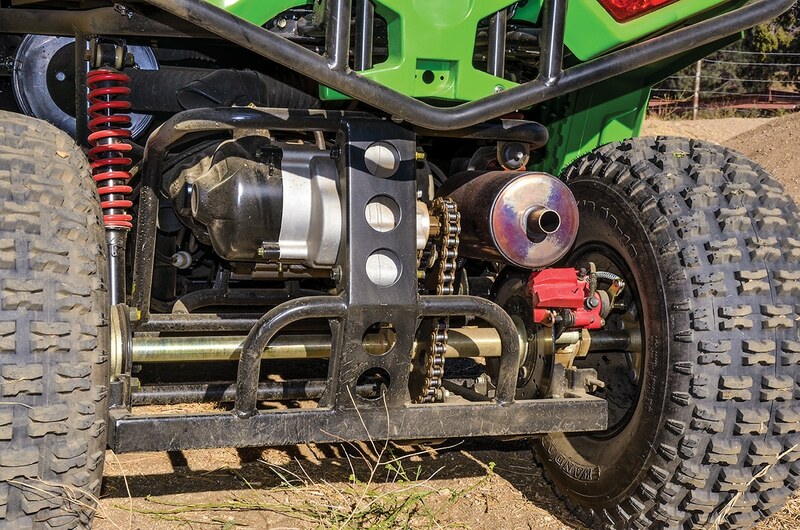 However, under acceleration, the shocks extend and stiffen the suspension. It works okay but could be improved upon. Kids 12 and over as small as 4 feet tall and adults up to 6 feet tall riding shotgun will fit. The driver’s side has an adjustable seat that moves a good 8 inches. Inside the cabin there is an adjustable passenger grab handle and a glove box. What’s unusual is that this machine has turn signals and hazard flashers. No, the Gunner is not street-legal, but it does give parents even more tools for teaching youngsters how to drive at an early age. We think an early start on this vehicle before hitting the road at 16 is a great idea. The passenger gets an adjustable grab-handle. Two cupholders, turn signals and a horn are also part of the standard list of features. A fuel-injected, air-cooled, single-cylinder four-stroke with 150cc and an electric start mated to a transmission with forward, neutral and reverse. This machine is two-wheel drive. We have yet to see a youth machine with four-wheel drive. There is a keyed ignition that easily gets the machine running, and the key can be kept by parents when not in use. Typically youth machines are limited on wheel travel to make them more stable and predictable for younger drivers. The Gunner is no different, but it does have dual A-arms up front and about 6 inches of travel, so the kids can have a little fun on the bumps. The specs show 16 horsepower out of this mini, and it’s plenty of punch for the suggested 12-and-older drivers. 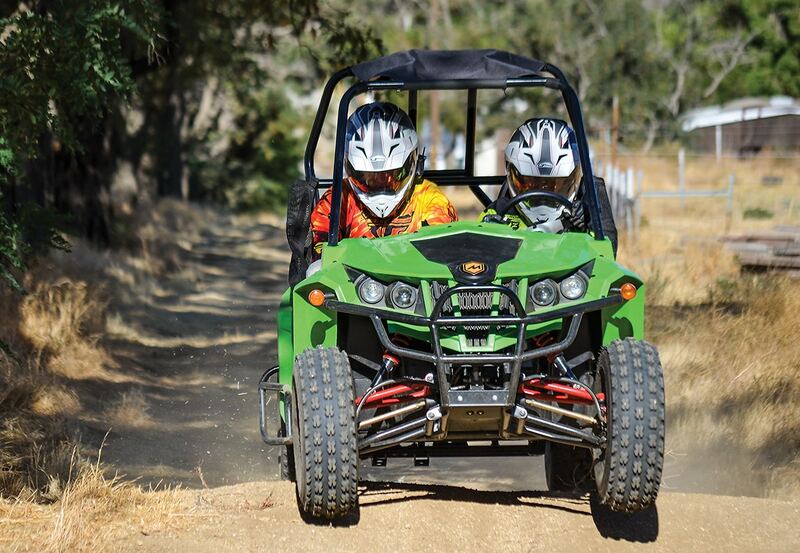 On the right surface, kids can break the tires loose and have lots of fun on the trails. It’s not intimidating power but enough to put big smiles on their faces. Top speed with a good tailwind is 40 mph. Daytime running lights are provided up front, as well as turn signals. No, the Gunner is not street-legal, but it does help teach the kids more driving skills. 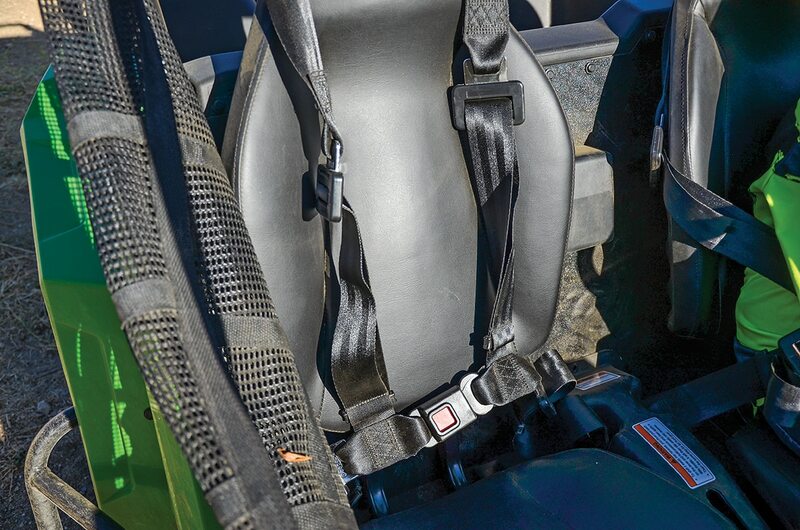 Harness-type seat belts are provided for both passengers, and they fit a wide variety of rider heights. There is enough legroom on the passenger side for an adult to ride along. Hydraulic disc brakes are used at both ends, but it does take a strong leg to lock them up. Kids have no problem slowing the machine down; it’s just tough for them to get the machine in a slide under braking. 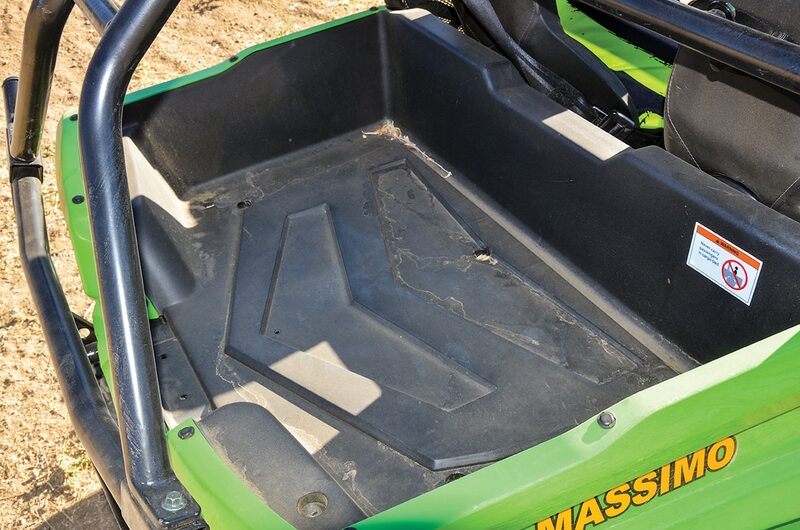 A large cargo area is provided out back, and it can hold up to 100 pounds. 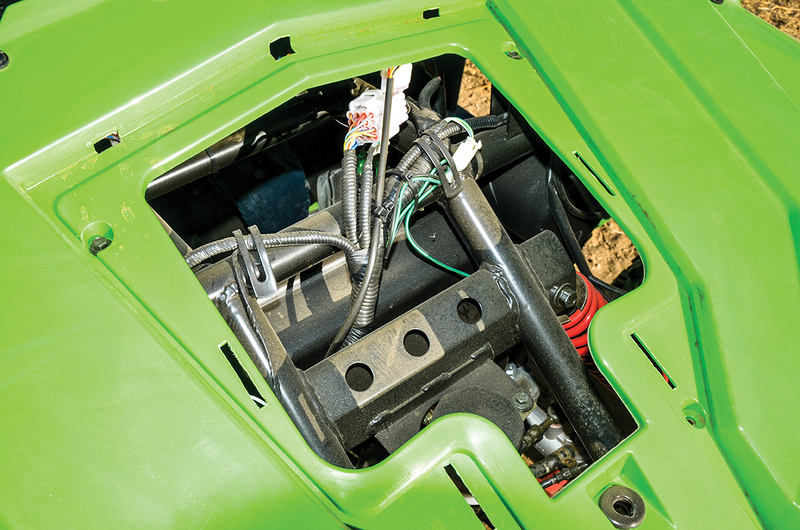 There’s not much hidden under the hood, although you can access some of the wiring, brake fluid and top shock mounts. It’s good compared to all other youth UTVs. Up front, Massimo gives the Gunner dual A-arms and a swingarm-style setup in the back. Both systems provide a stable platform with very little body roll. Suspension travel numbers are unpublished, but we measured around 6 inches at both ends. Small bumps in the trail and little ruts can be crossed without upsetting the car. Small jumps are okay, but bigger ones should be taken with caution and with parents’ approval. Our pint-sized testers did bottom out the Gunner a couple of times, but that happens with all youth cars. The Gunner seemed to take the punishment very well and didn’t miss a beat. 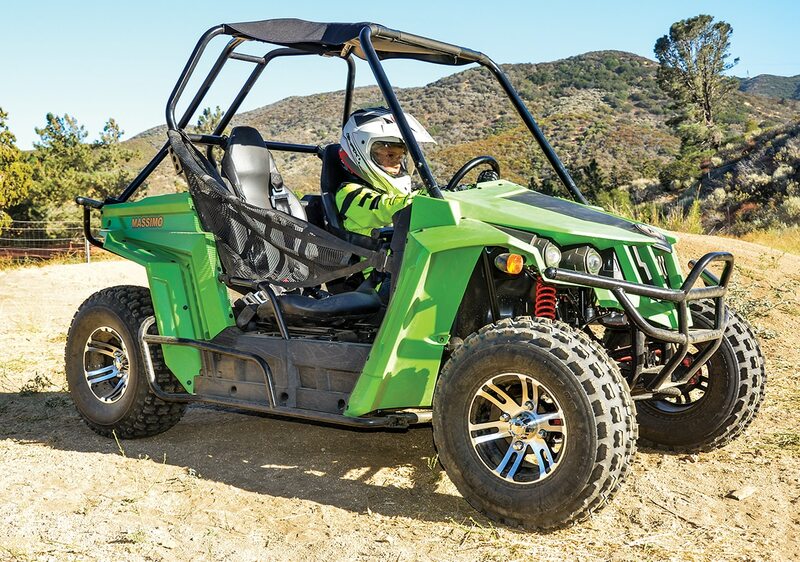 The 22-inch tires provide a little more cushion and have held up great. The biggest question you should have when buying from a relatively new brand is if they have a good dealer network to get parts and service from down the road. According to the dealer locater feature at MassimoMotor.com, we had three dealers within 50 miles of us and saw hundreds more across the country. 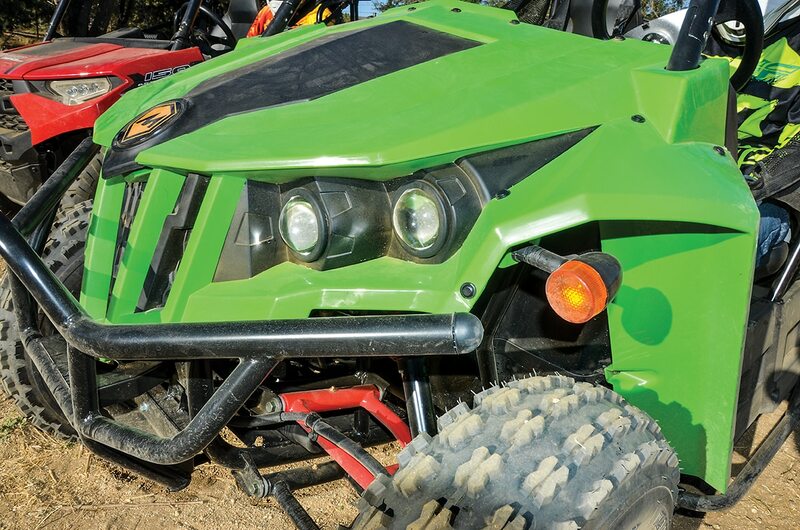 Massimo gives all machines a one-year parts and labor warranty. The Gunner’s 3.5-gallon gas tank will help provide hours of outdoor entertainment for all the neighborhood kids. 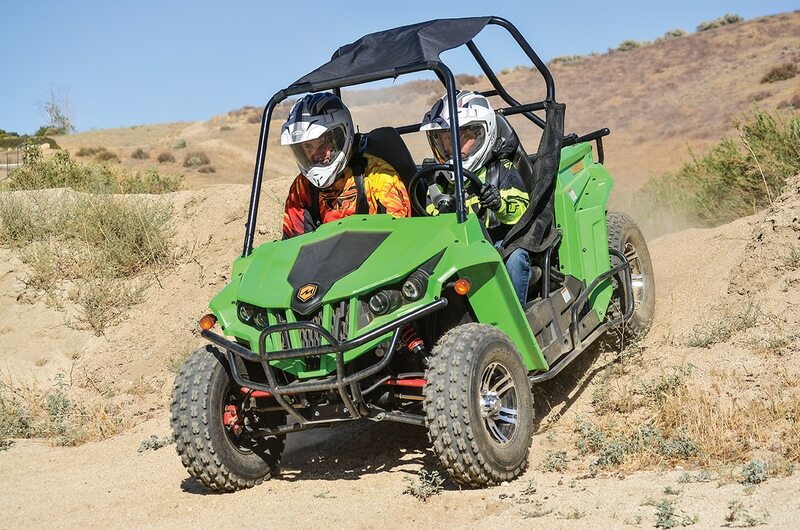 The Gunner 150S is a blast, and if the UTV bug has hit your family, the Massimo Gunner will let every member join in on the fun. See www.massimomotor.com. Bed weight limit 100 lb.